Access Ward website – It Works For Bobbi! 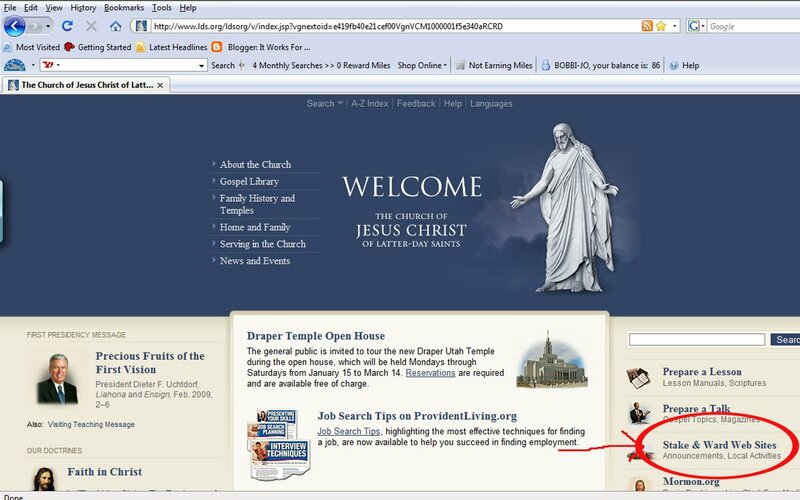 Published on February 12, 2009 August 9, 2016 by Bobbi-Jo G.
This post is going to be helpful for fellow members of The Church Of Jesus Christ Of Latter-Day Saints, so if you’re not a member of this Church you can choose to read, or skip – or better yet, visit mormon.org to learn a little more about my beliefs. There is a wonderful resource available that far too many of us do not utilize to the fullest. It’s the Stake/Ward website part of lds.org. Do you use this resource? Isn’t it wonderful? I’ve had the chance to talk to several friends and family members who either weren’t aware of this resource, didn’t know how to access it, or simply didn’t use it. Well, this tutorial will hopefully help you there. You will then be brought to this page. You will notice that in order to obtain an account you will need a copy of your membership record number and your confirmation date. 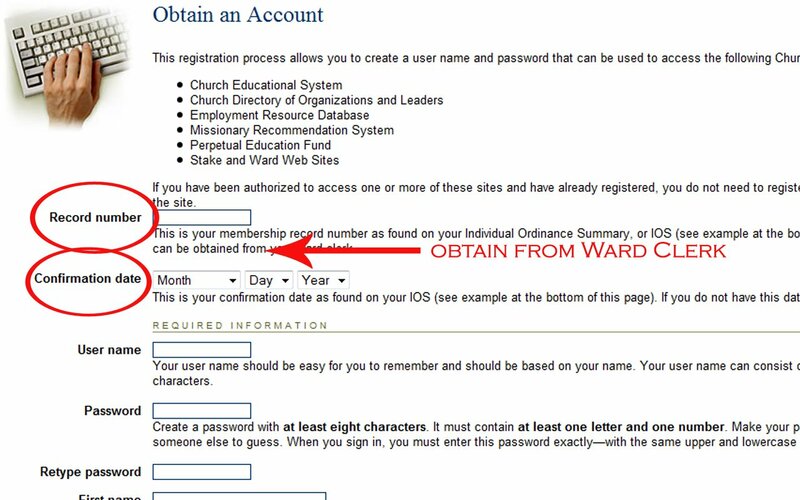 You can obtain your record number from your temple recommend, or from a print out of your ordinance record the ward clerk can give you (if you don’t know who your ward clerk is, phone a member of your bishopric or your R.S. president, Elders Quorum president, or High Priest Group leader). On that printout you should also have your confirmation date. Enter the information where prompted. It’s your ward website! Yes! Over to the left of the screen you can see many of the option available to you here – GASP! It’s a complete ward directory! Really?? YES! You have access to every phone number and address on the ward list. No more “well, I didn’t have my visiting teaching sister’s address” ha ha. Okay – maybe if she JUST moved or something – I’m sure there are circumstances. You’ll notice that there is the very helpful Leadership Directory, which gives you each of the callings in the ward and who is serving in those positions (along with their contact info – including email if it was given!). There is the address to our building on there, along with meeting start times, spiritual thoughts, and other useful information. You will also see things like Lesson Schedules (including links to the manuals) and Ward Calendars! I have to tell you how impressed I am at how well our ward website is kept up and updated. 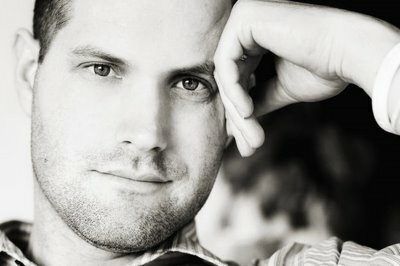 I know my husband has every Young Men’s activity on the calendar (though many don’t know this and don’t check it). Relief Society activities are also on there, stake activities, you name it! It’s sad, though, how little this resource is used. I hope this tutorial will encourage every member to start using it. 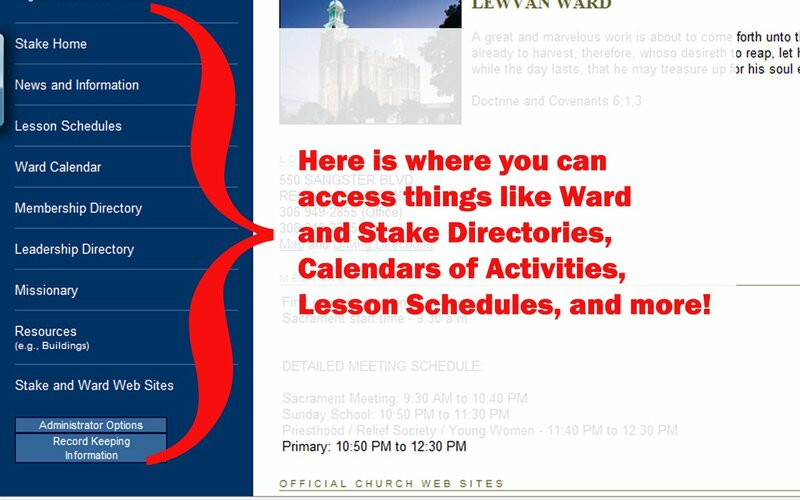 Do you use your ward website?? Next How Do I Love Thee? Our last stake didn’t give out any stake directories. 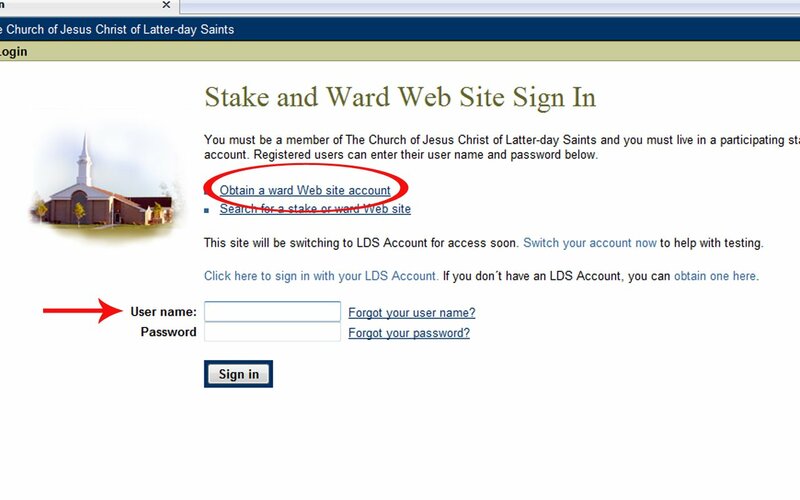 They encouraged everyone to use the ward website instead. I love using the membership directory online. It’s so handy! Our Stake is pushing the same thing. EVERY announcement they mention is “Check your ward site” “Check your Stake Site”. I Love that.Thanks Bobbi. You are doing a great service for people! All the time!!! I expect everyone to use it, I submit stuff to the calendar all the time, so no one can say they didn’t know 😀And Frieso has access to our calendar directly so I can get things sped up if I need to 😀 I just wish we access more than just our own stakes, sometimes I need to find people in other stakes. We do constantly, our ward quit using paper a long time ago adn directed us all to the website. it’s fantastic.